A week or so ago I finally made it over to the Harry Ransom Center's Making Movies exhibition. It's wonderful that I can see such great things on my lunch break by just walking to the other side of campus! The HRC has had the Gone With the Wind collection for a long time and has acquired many other movie-related collections over the years, and a few years ago Robert De Niro gave the library a lot of items from his movie making-career. 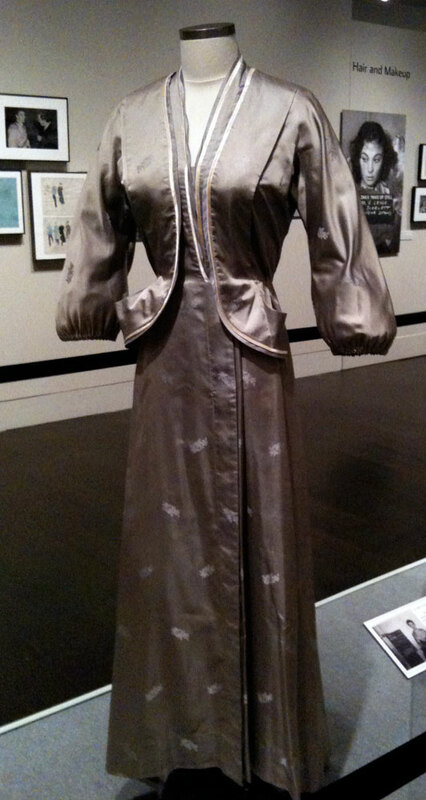 The exhibition featured a lot of items from their collection ranging from early scripts, to costumes, to a pamphlet from Mount Rushmore used as research for North by Northwest. I only had my iPhone to take pictures, so I just grabbed a couple of shots of costumes. Below on the left is a dress worn my one of my favorite actresses, Deborah Kerr, in one of her signature roles - An Affair to Remember with Cary Grant (pretty much my all-time favorite actor). 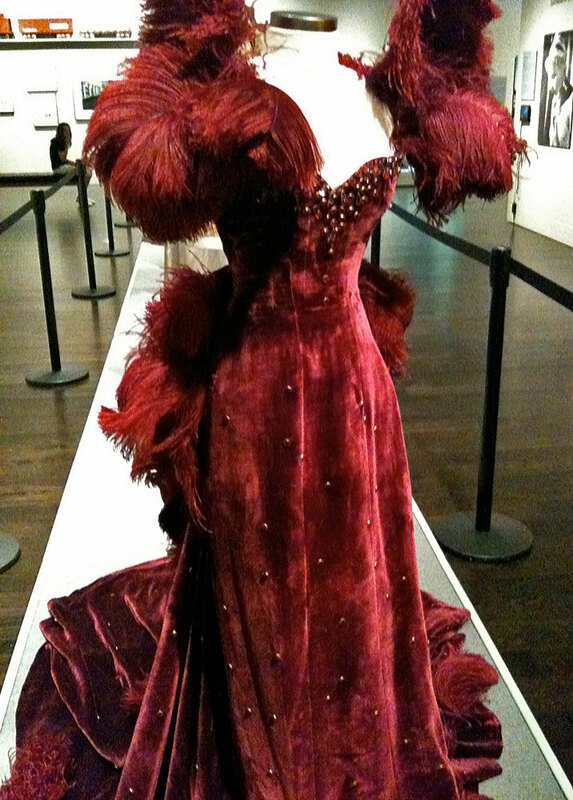 And on the right, the infamous "Red Dress" from Gone With the Wind. One thing that you can't really see in my picture is just how TINY Vivien Leigh's waist was. You can get an idea in the movie in the scenes where she's being laced up in her corset, but seeing it on a model right in front of you really puts it into scale. It was pretty amazing to be able to stand a foot away from that iconic costume!